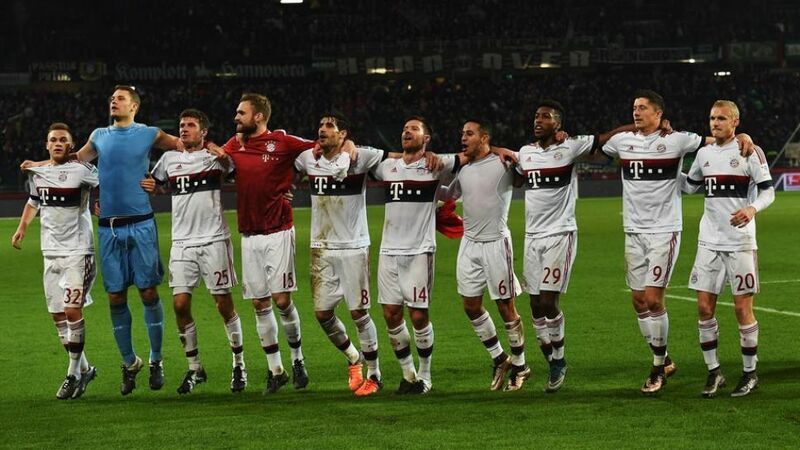 FC Bayern München closed out another outstanding calendar year by extending their lead at the Bundesliga summit to eight points heading into the winter break following a 1-0 win over Hannover 96 on Matchday 17. Thomas Müller (Bayern forward): "I’m the No1 penalty taker but [Robert] Lewandowski will get the next one. We knew we wouldn’t be gifted any points here today. It was a final hurdle, but we were missing a lot of players. It wasn’t exactly a goalfest but it still feels great when you give everything you’ve got and reap the rewards. Respect to this squad. The Dortmund result [a 5-1 win back on Matchday 8] is just the icing on the cake." Pep Guardiola (Bayern head coach): "Huge compliments to my players. They've been fantastic all year round in the Bundesliga as well as in the UEFA Champions League and the DFB Cup. We've only had a few players available for selection in recent weeks but the squad has done very well. In light of all our absentees, we wanted to control the game from the front line today." Manuel Neuer (Bayern goalkeeper): "We could have made life a little bit easier for ourselves had we taken our chances during the first half, but we’re delighted to have picked up all three points." Robert Lewandowski (Bayern forward): "We’ve played well in the first half of the season, but the games that matter are in April and May. Thomas [Müller] and I reached an agreement that I’ll be allowed to take the next penalty! For now, though, I’m looking forward to heading back to Poland because I’m so rarely at home." Christian Schulz (Hannover captain): "The ball took a slight deflection, which changed its trajectory. Then I tried to get my head to the ball. Unfortunately, that didn’t come off, which meant it ended up looking pretty ridiculous." Thank you for your fantastic support - today and throughout the whole first half of the season. Ron-Robert Zieler (Hannover goalkeeper): "We lost against world-class team today. We’re disappointed with how things have gone. We don’t have anywhere near enough points and desperately need to raise our game if we want to stay in this division. We’ve shown in fits and starts that we can play good football but we need to be consistent."